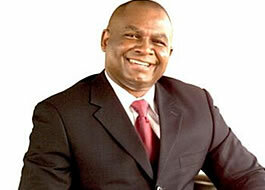 Outgoing senator and former governor of Enugu State, Chimaroke Nnamani, was, on Tuesday, re-arrested by the Economic and Financial Crimes Commission (EFCC) over an alleged fresh discovery of corrupt acts while in office as governor between 1999 and 2007. The commission’s spokesperson, Mr Femi Babafemi, confirmed his arrest. Babafemi disclosed that he was being interrogated as of press time 4.05 p.m. He was reportedly picked up following fresh information at the disposal of the commission of his alleged looting of the state. He is being prosecuted for alleged theft of billions of naira from the state coffers while in office. It was also gathered the Managing Director of a new generation had been quizzed by the commission over an alleged suspicious transfer of $5.3 million from Europe by an oil firm, Facegood Oil and Gas. The Chief Executive Officer (CEO) of the firm, Clark Ejerem, had also been declared wanted by the anti-corruption agency. It was learnt that the commission launched an investigation into the suspicious wired sum from Europe when the bank MD failed to disclose the lodgement in Facegood account domiciled with the bank. The bank MD was said to have been grilled for not reporting the wire transfer to the Nigeria Financial Intelligence Unit (NFIU) as required by the extant banking laws.